Even if I got already totally lost in client work again after holidays, it’s finally time to introduce this amazing talented lady from Bergen, Norway: Katrin Berge. It is already two years ago that I wrote an article about her on my previous website (chez-boo.de) and I am really sorry, Katrin, that you had to wait such a long time before I was able to recover it! Unfortunately I miss the last version of this post but on the other hand it wouldn’t be quite up-to-date anymore since there happend a lot during these two years. 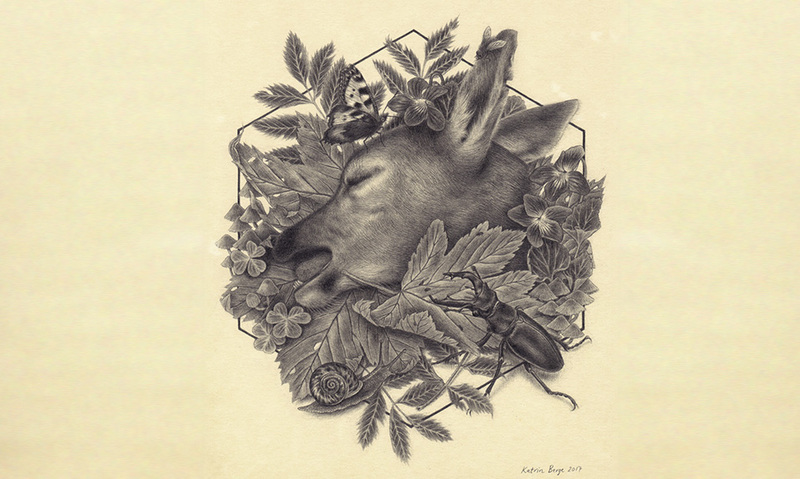 Back then, when I contacted her for the first time, Katrin worked for her first solo exhibition “Menneske og dyra” in November 2016 at Grafill (Oslo), but until today this one was already followed by five others in Bergen as well as in the USA. 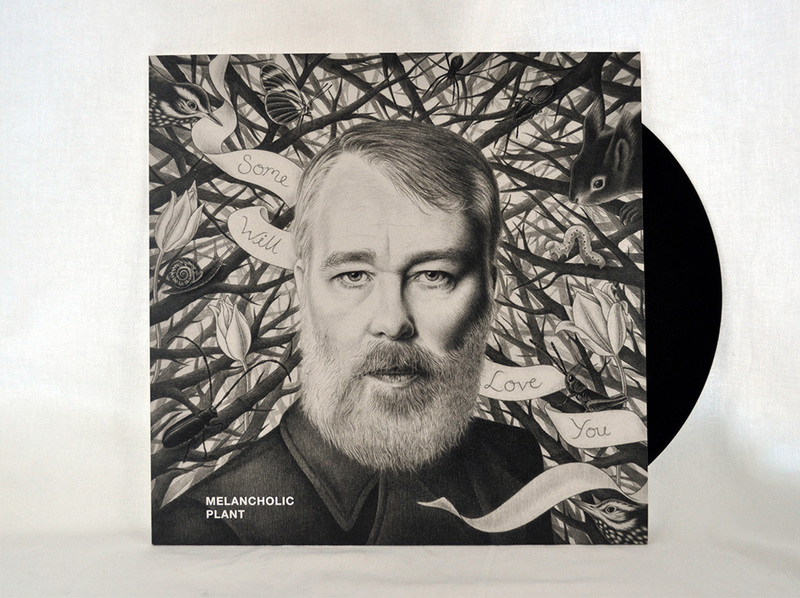 Additionally in 2016 she won the gold award in the annual Norwegian awards for visual communication with her vinyl cover for “Some Will Love You” by Marvin Halleraker. A belated congratulation! And recently she redesigned her website and opened an online shop for high-quality prints of her art pieces. Since she was a little girl, she said, she has been creative all the time. „It was like I had this urge to always make things, and it’s still there today“, she told the blog Culture in an interview. 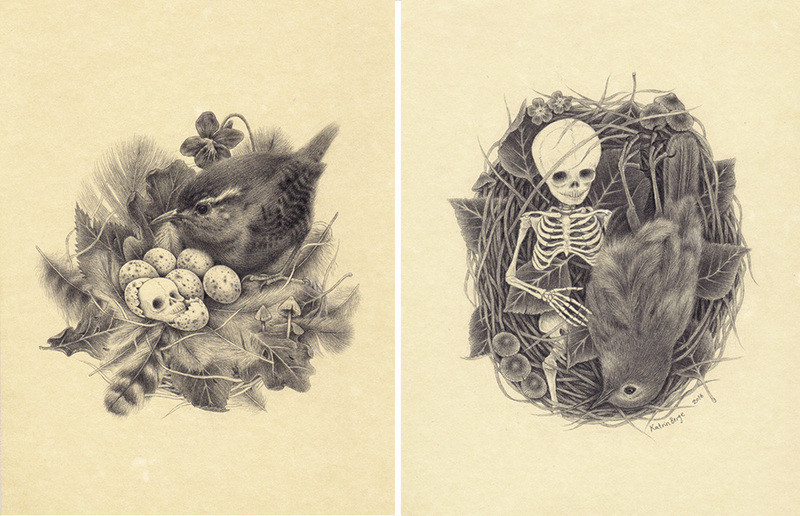 But only as she became sixteen, she started to draw seriously – inspired by old photos and nature drawings. Based on her interest for science and nature on one hand and dreams,emotions and superstition on the other, she developed this very unique style – a strange and awesome mix of these both contrary worlds. 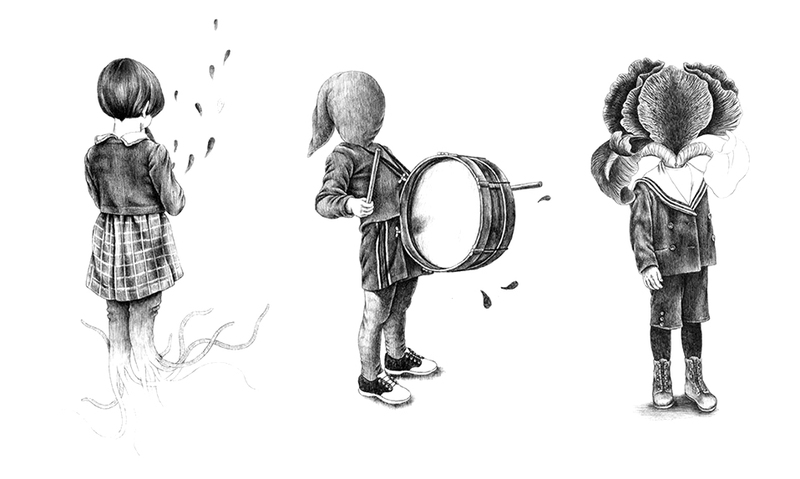 So what made me stop at her art back then was not only the fine and detailed kind of graphite drawing, but rather the surreal composings with small childlike figures, mostly faceless, surrounded by forest elements, leaves and animals like butterflies and snails, birds, mice and squirrels. The mysterious children almost vanished during the last two years, the nature and animals remained, but without making her artwork less surreal – in a mood somewhere between sweet and macabre, between death and life.